BLACKWOOD, Robert Melvin. 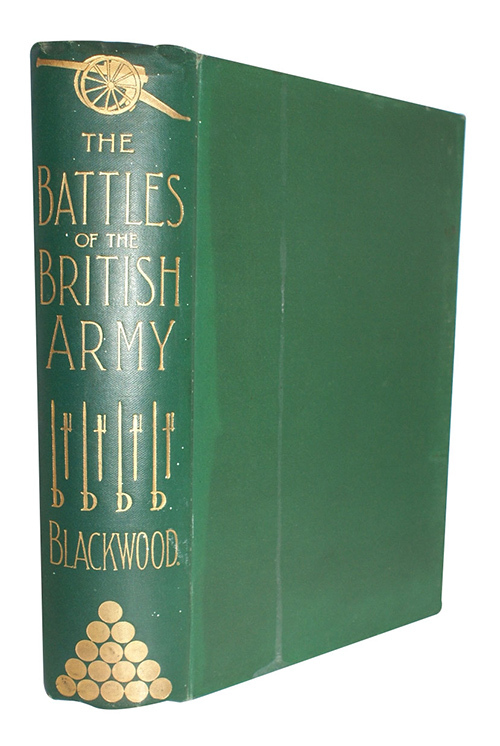 The Battles of the British Army. 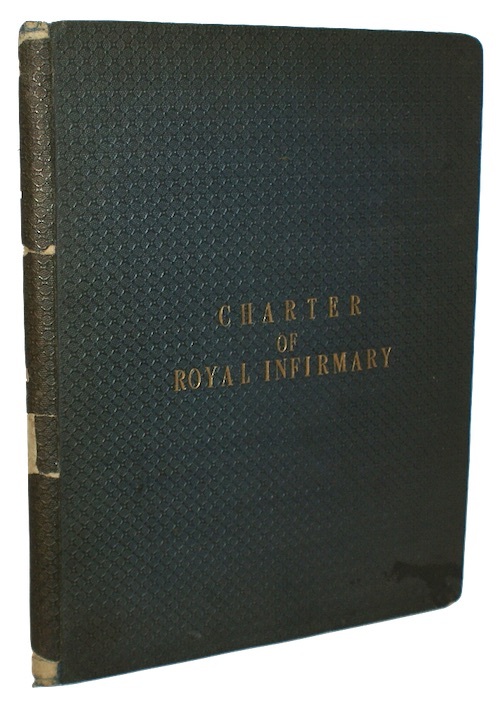 Being a popular account of all the principal engagements during the last hundred years. Simpkin, Marshall, Hamilton, Kent, & Co.. c.1905. Second edition. 472pp. Original publisher's green cloth, gilt. Slight wear to extremities, spine a trifle sunned. Internally clean and crisp, recent armorial bookplate to FEP of Cefntilla, family seat of the Raglan baronetcy. BLADEN, Martin. 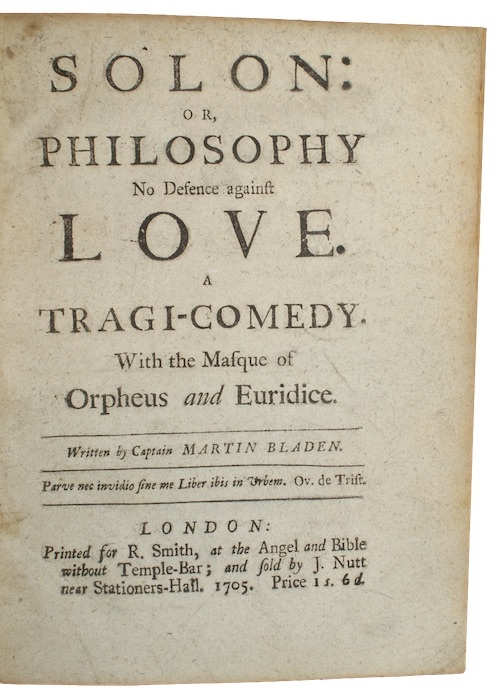 Solon: or, philosophy No Defence against love. A tragi-comedy. With the Masque of Orpheus and Euridice. Printed for R. Smith...and Sold by J. Nutt. 1705. First edition. , 72pp. Without half-title. Recent navy half-morocco, blue cloth boards, lettered in gilt, T.E.G. Extremities discoloured and a trifle soiled. Recent marbled endpapers, occasional shaving to running-title, minute marginal worm-trail to final two gatherings. BLOOMFIELD, Nathaniel. 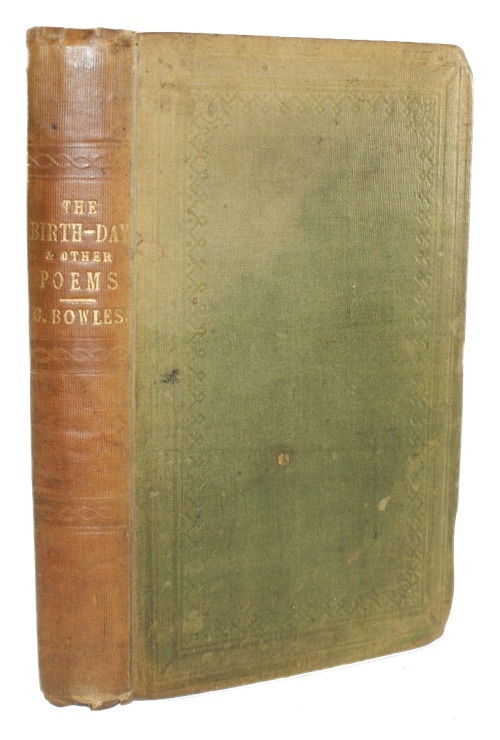 An Essay on War, In Blank Verse; Honington Greek, A Ballad; The Culprit, An Elegy; and other poems on various subjects. Printed for Thos. Hurst,...and Vernor and Hood...by P. Gedge, Bury. 1803. First Edition. xxviii, , 96pp. With half-title and engraved frontispiece. Uncut in original publisher's two tone paper boards. Rubbed, with some loss to spine and soiling to boards. Weak sewing. From the library of Anne and F.G. Renier, with their bookplate to FEP. BLOOMFIELD, Robert. Rural Tales, Ballads, and Songs. Printed for Vernor and Hood...by T. Bensley. 1802. First Edition. xi, , 105pp, . With half-title and engraved portrait frontispiece. Victorian mauve calf, contrasting morocco lettering-piece, gilt. Rubbed to extremities, joints, browning to spine. Bookplates of Charles James Fox Bunbury, William Carr, and the Nowell-Smiths to front endpapers. 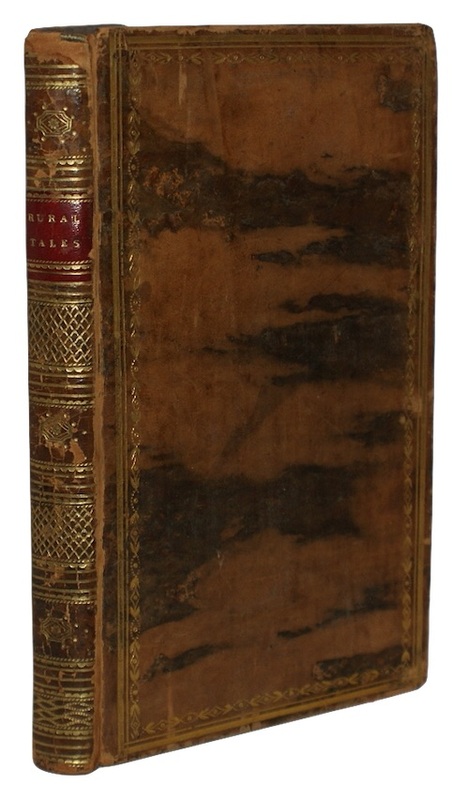 Presentation copy, inscribed 'Henry William Bunbury, 1802, From the Author' to head of half-title. BLOUNT, Sir Thomas Pope. 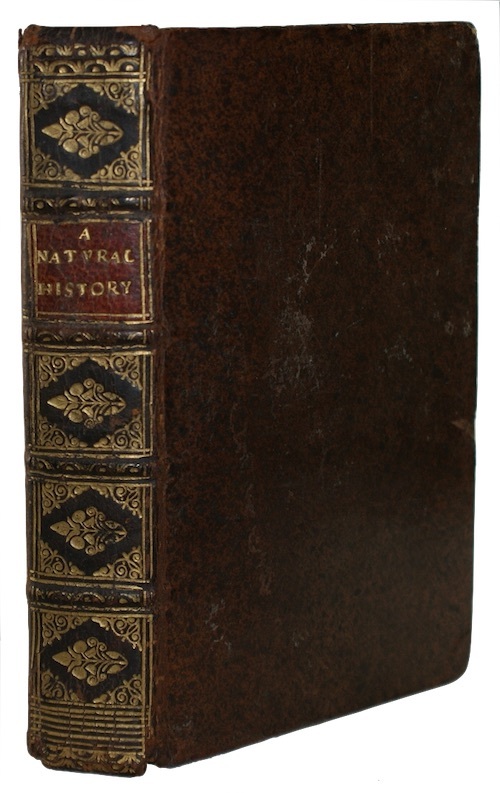 A Natural History: Containing Many not Common Observations: Extracted out of the best Modern Writers. Printed for R. Bentley. 1693. First edition. , 469, . With three pages of terminal advertisements. 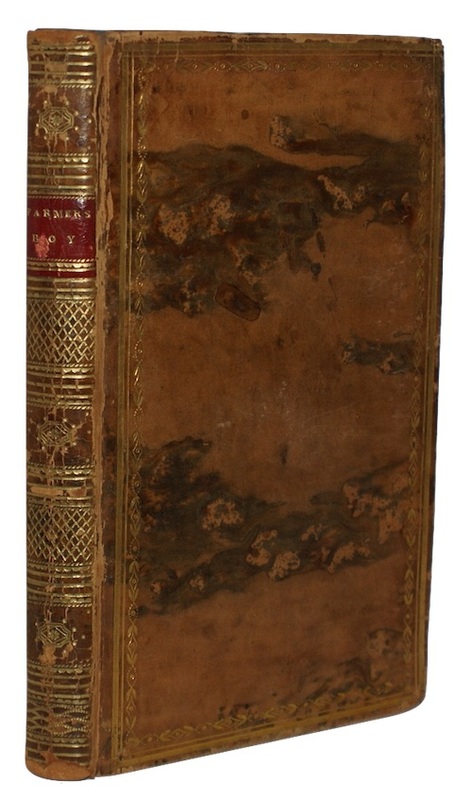 Contemporary speckled calf, spine richly gilt, contrasting red morocco lettering-piece. Slightly rubbed, a little bumped to edges, small splits to joints at head and foot, else a crisp and fresh copy. With the bookplate of William Trumbull, Esq, to FEP. BONA, Giovanni. A guide to Eternity: Extracted out of the writings of the holy fathers, and Ancient Philosophers... Printed for Hen. Brome. 1680. 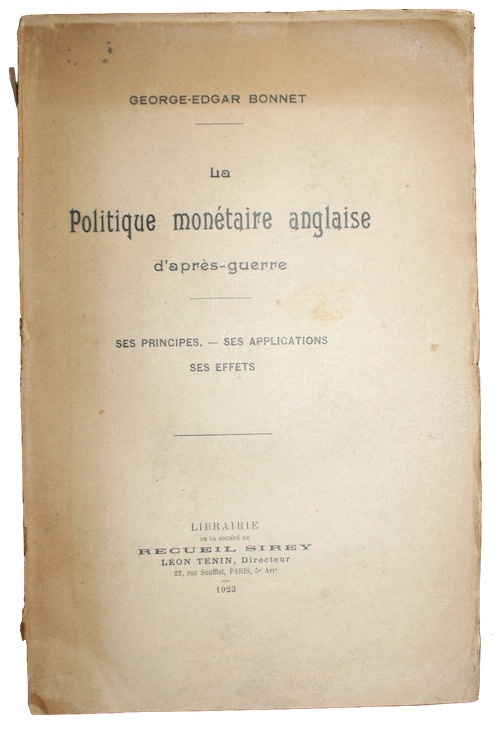 Second edition in English. , 188pp, . With an additional engraved tile-page, and two terminal advertisement leaves. ESTC R23243, Wing B3545. [Bound with:] BONA, Giovanni. Precepts and Practical Rules for A truly Christian Life. Being A Summary of Excellent Directions to follow the narrow way to bliss. In two Parts. London. Printed by M. Clark [and A.C.], for H. Brome, 1678. First edition in English. , 108, , 126pp. Part two has a separate dated title-page and pagination. With an additional engraved title-page (misbound as frontispiece), and two terminal advertisement leaves. ESTC R17339, Wing B3553. 12mo. 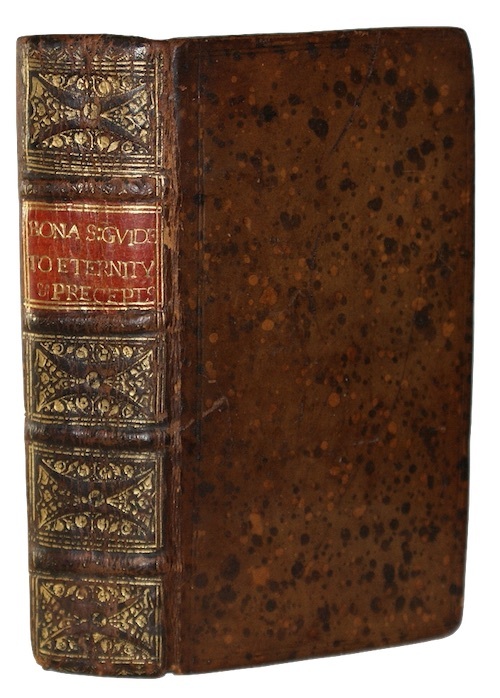 Contemporary speckled calf, spine richly gilt, contrasting red morocco lettering-piece, marbled edges. Lightly rubbed. Recent bookplate of Robert J. Hayhurst to FEP, short tear to fore-edge of leaf D4 of first bound work. BONNET, George-Edgar. La Politique monetaire anglaise d'apres-gurre. Librairie de la Societe du Recueil Sirey. 1923. First edition. 172pp, . Largely unopened in original publisher's printed paper wrappers. Light marking to extremities, upper wrapper panel detached, surface loss to spine, sunned. Leaves toned. BOSE, Johann Andreas. Jo. 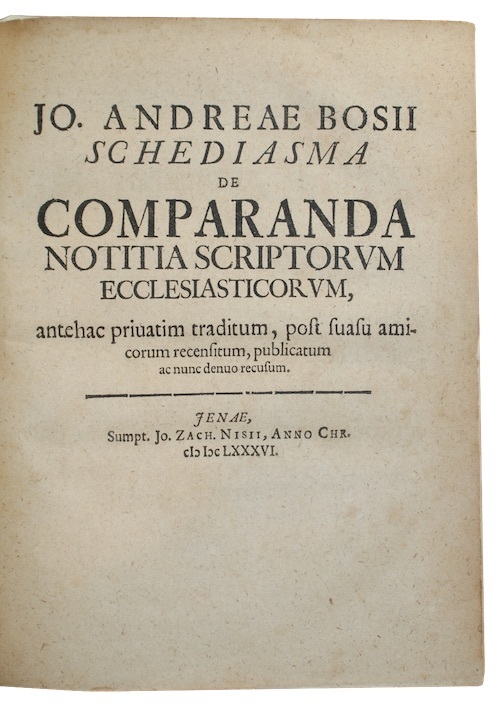 andreae bosii schediasma de comparanda notitia scriptorum ecclesiasticorum, antehac priuatim traditum, post suasu amicorum recensitum, publicatum ac nunc denuo recusum. Sumpt. Jo. Zach. Nisii. 1686.
, 64pp. Recent vellum-backed marbled boards. Slight marking to spine, a trifle rubbed. Vey occasional ink underlining and marginal annotations, lightly spotted, leaves toned. BOWDLER, Mrs. H[enrietta] M[aria]. 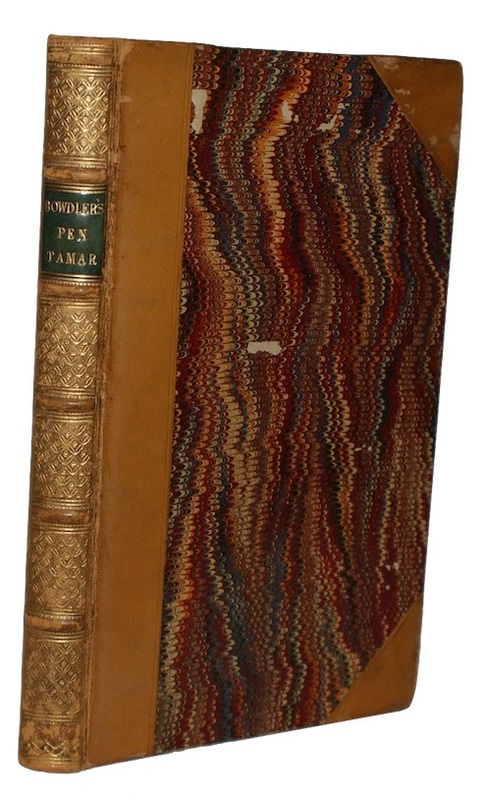 Pen tamar; or, the history of an old maid. Printed for Longman, Rees, Orme, Brown, and Green. 1830. FIrst edition. ix, , 244pp. With half-title, an engraved frontispiece, and three engraved plates. Contemporary half-calf, marbled boards, spine richly gilt, contrasting green morocco lettering-piece, marbled edges. Extremities rubbed. Marbled endpapers, foxed. BOWLES, Caroline. The birth-day; a poem, in three parts: to which are added, occasional verses. William Blackwood and Thomas Cadell. 1836. First edition. , ii, 288pp. With half-title. Original publisher's green cloth with gilt title. Heavily sunned at spine and top edge, head and foot of spine rubbed with slight loss, somewhat soiled. With ink inscription to recto of dedication reading 'With best regards to Charlotte Hamilton from Marianne Tallot(? )', otherwise internally clean and crisp. BOWLES, Rev. W. Lisle. The Picture; Verses Written in London. May 1803, Suggested by A Magnificent Landscape of Rubens, in possession of Sir George Beaumont. 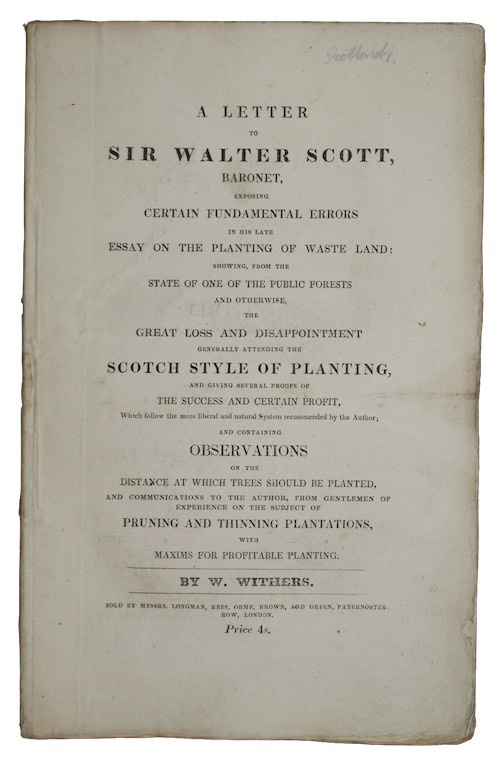 Printed by W. Bulmer. 1803. First Edition. 20pp. Later paper boards, rubbed and faded. Some creasing, neat repair to half-title, loss to gutter margin of final leaf. John Sparrow's copy, with his book label to FEP. BOWLES, Reverend W.L.. Sonnets, and Other Poems...to which is added, Hope, an allegorical sketch on recovering slowly from sickness.. 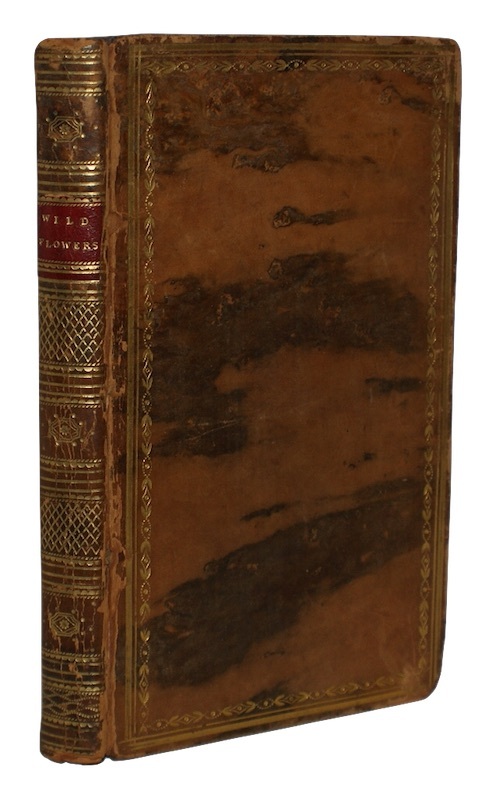 Printed for T. Cadell and W. Davies.... 1800. Seventh Edition. xi, , 180pp. With half-title, frontispiece and three further engraved plates. [Bound uniformly with} Poems, Vol II. London, Printed for T. Cadell...., 1801. First Edition. , 165pp, . With four engraved plates. Finely bound in contemporary calf, contrasting morocco lettering and volume number pieces, gilt with greek key roll to boards. A trifle rubbed. Contemporary ink inscriptions of Sarah Bonynge to head of each title, further inscription of Barbara Fanshawe to each FFEP.